From the inside front fly leaf: The history of the city of Chester is so much more than the occupying Roman Legions and the walled fortress that they built on a sandstone outcrop overlooking the River Dee. This fascinating book investigates the very earliest settlement of the site prior to the Roman invasion, as well as looking at the various periods of settlement, notable characters and important events that have helped to shape the city that stands today. 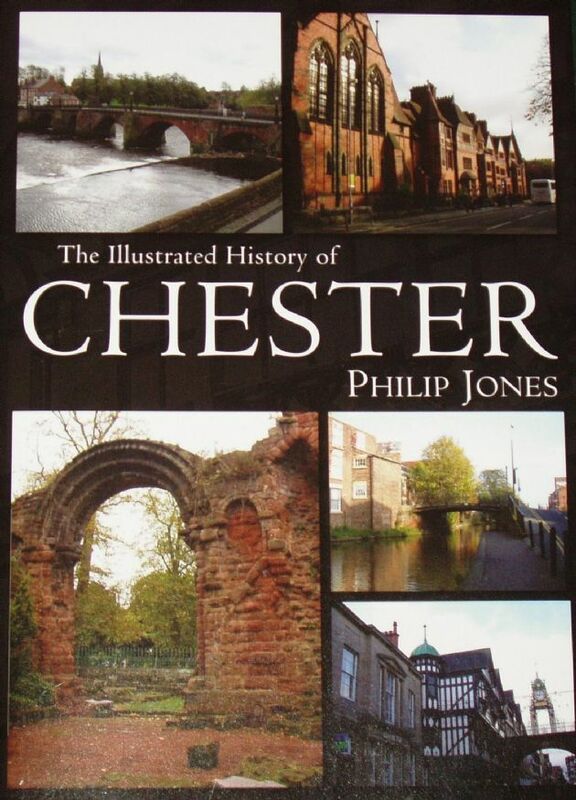 For well over 1400 years Chester remained a centre of religious, military and political power, as well as one of the most pre-eminent trading ports in all of England. Throughout its history, it has played host to some of the most notable characters of the age, including the Anglo Saxon King Egbert, William the Conqueror and the eight Norman Earls who ruled the city and its wider regions for well over 160 years. The two great Plantagenet monarchs, Henry III and his militaristic son Edward Longshanks used Chester as their base for the vicious military campaigns that they waged against the royal Princes of Wales. The usurper King Henry IV came to Chester to oust the legitimate monarch Richard II from his throne. The city and its people also remained resolute during the 17th century English Civil War siege which witnessed the bombardment and starvation of Chester's Royalist defenders in defense of the ill-fated monarch Charles I who later lost his head. The past two hundred years have not been so glorious however and a good deal of the ancient city, including its Norman Castle, has been largely swept away in the rush to create a regional tourist attraction, often at the cost of the city's most important architectural treasures. The old city will live on, however, in this fascinating book!